Monitoring systems use advanced technology to provide continuous information on important patient parameters during cardiac surgery and into the intensive care unit. Terumo manufactures the CDI® Blood Parameter Monitoring System 550 which uses in-line optical fluorescence and reflectance technologies to quickly alert users to changes in patient status. 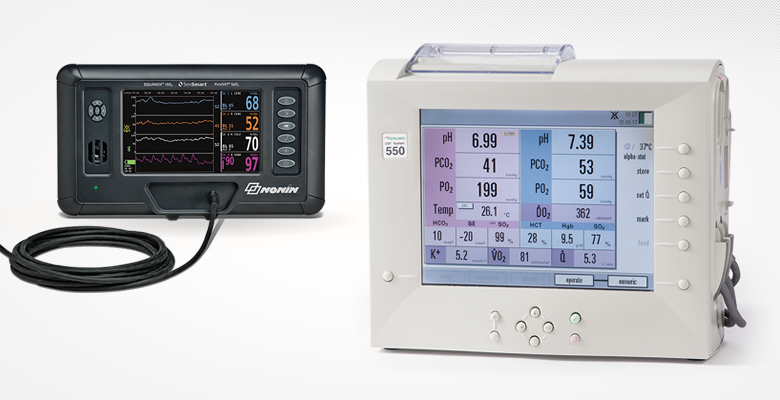 Terumo distributes Nonin's SenSmart™ Model X-100 Universal Oximetry System, a new technology platform that, for the first time, delivers both pulse and regional oximetry today and is designed to accommodate many more parameters in the future.